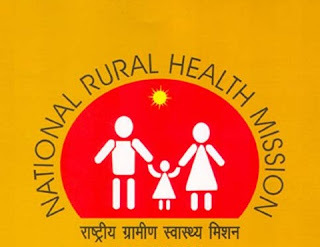 The National Rural Health Mission (NRHM) was launched to provide accessible, affordable, accountable and effective primary healthcare facilities, especially to the poor and vulnerable sections of the population. The targets and achievements of the National Rural Health Mission (NRHM) are given below. Certain targets as envisaged in 2005 at the launch of NRHM have not been achieved. This is because public health is a State subject and there have been issues of lack of capacities and human resource shortage in certain States and general underfunding for health sector. Achievements up to XIth Plan. IMR reduced from 58 in 2005 (SRS) to 42 in 2012 (SRS). MMR reduced from 254 in 2004-06 (SRS) to 178 in 2010-12 (SRS). TFR reduced from 2.9 in 2005 (SRS) to 2.4 in 2012 (SRS). 70% Malaria mortality reduction- (Reduced from 1707 in 2006 to 519 in 2012). 85% Kala Azar mortality reduction- (Reduced from 187 in 2006 to 29 in 2012). 8% reduction- Dengue Mortality has reduced from 184 in 2006 to 169 in 2011. Cataract operations of more than 63.49 lakhs per year have been reported in 2012. Leprosy Prevalence Rate reduced from 1.34 per 10,000 in 2005 to 0.68 per 10,000 in 2012. Tuberculosis is having 71% case detection and 88% Cure rate in 2012. IMR reduced from 42 in 2012 (SRS) to 40 in 2013 (SRS). MMR has reduced to 167 in 2011-13 (SRS). TFR has reduced to 2.3 in 2013 (SRS). Tuberculosis is having 171 incidence (per lakh population) and 19 mortality (per lakh population) in 2013. 12th Plan proposes to increase the expenditure on core health by States and the Centre to 1.87% of Gross Domestic Product (GDP) by the end of 12th Plan. · Promotion of institutional deliveries through Janani Suraksha Yojana. · Capacity building of health care providers in basic and comprehensive obstetric care. · Operationalization of Sub-Centres, Primary Health Centres, Community Health Centres and District Hospitals for providing 24x7 basic and comprehensive obstetric care services. · Name Based Web enabled Tracking of Pregnant Women to ensure antenatal, intranatal and postnatal care. · Antenatal, Intranatal and Postnatal care including Iron and Folic Acid supplementation to pregnant & lactating women for prevention and treatment of anaemia. · Village Health and Nutrition Days in rural areas as an outreach activity, for provision of maternal and child health services. · Health and nutrition education to promote dietary diversification, inclusion of iron and foliate rich food as well as food items that promote iron absorption. · Janani Shishu Suraksha Karyakaram (JSSK) entitles all pregnant women delivering in public health institutions to absolutely free and no expense delivery including Caesarean section. The initiative stipulates free drugs, diagnostics, blood and diet, besides free transport from home to institution, between facilities in case of a referral and drop back home. Similar entitlements have been put in place for all sick infants accessing public health institutions for treatment. · To sharpen the focus on the low performing districts, 184 High Priority Districts (HPDs) have been prioritized for Reproductive Maternal Newborn Child Health+ Adolescent (RMNCH+A) interventions for achieving improved maternal and child health outcomes. · Emphasis on facility based newborn care at different levels to reduce child morbidity and mortality: Setting up of facilities for care of sick newborn such as Special New Born Care Units (SNCUs), Newborn Stabilization Units (NBSUs) and Newborn Care Corners (NBCCs) at different levels is a thrust area under NHM. · Capacity building of health care providers: Various trainings are being conducted under NHM to train doctors, nurses and ANMs for essential newborn care, early diagnosis and case management of common ailments of children. These trainings are on Navjaat Shishu, Suraksha Karyakram (NSSK), Integrated Management of Neonatal and Childhood Illnesses (IMNCI), Facility Based Newborn Care (FBNC), Infant and Young Child Feeding practices (IYCF), etc. · India Newborn Action Plan (INAP) has been launched with an aim to reduce neonatal mortality and stillbirths. · Newer interventions to reduce newborn mortality- Vitamin K injection at birth, Antenatal corticosteroids for preterm labour, kangaroo mother care and injection gentamicin to young infants in cases of suspected sepsis. · Home Based New Born Care (HBNC): Home based newborn care through ASHAs has been initiated to improve new born practices at the community level and early detection and referral of sick new born babies. · Intensified Diarrhoea Control Fortnight (IDCF) to be observed in July-August 2015 focusing on ORS and Zinc distribution for management of diarrhoea and feeding practices. · Integrated Action Plan for Pneumonia and Diarrhoea (IAPPD) launched in four states with highest infant mortality (UP, MP, Bihar and Rajasthan). · Management of Malnutrition: Nutritional Rehabilitation Centres (NRCs) have been established for management of severe acute malnutrition in children. · Appropriate Infant and Young Child Feeding practices are being promoted in convergence with Ministry of Woman and Child Development. · Universal Immunization Programme (UIP): Vaccination protects children against many life threatening diseases such as Tuberculosis, Diphtheria, Pertussis, Polio, Tetanus, Hepatitis B and Measles. Infants are thus immunized against seven vaccine preventable diseases every year. The Government of India supports the vaccine programme by supply of vaccines and syringes, cold chain equipment and provision of operational costs. · Mission Indradhanush has been launched in 201 high focus districts to fully immunize more than 89 lakh children who are either unvaccinated or partially vaccinated; those that have not been covered during the rounds of routine immunization for various reasons. They will be fully immunized against seven life-threatening but vaccine preventable diseases which include diphtheria, whooping cough, tetanus, polio, tuberculosis, measles and hepatitis-B. In addition, vaccination against Japanese Encephalitis and Haemophilus influenza type B will be provided in selected districts/states of the country. Pregnant women will also be immunized against tetanus. · Mother and Child Tracking System (MCTS): A name based Mother and Child Tracking System has been put in place which is web based to ensure registration and tracking of all pregnant women and new born babies so that provision of regular and complete services to them can be ensured. · Rashtriya Bal Swasthya Karyakram (RBSK) for health screening and early intervention services has been launched to provide comprehensive care to all the children in the age group of 0-18 years in the community. The purpose of these services is to improve the overall quality of life of children through early detection of birth defects, diseases, deficiencies, development delays including disability. · Under National Iron Plus Initiative (NIPI), through life cycle approach, age and dose specific IFA supplementation programme is being implemented for the prevention of anaemia among the vulnerable age groups like under-5 children, children of 6 – 10 years of age group, adolescents, pregnant & lactating women and women in reproductive age along with treatment of anaemic children and pregnant mothers at health facilities.